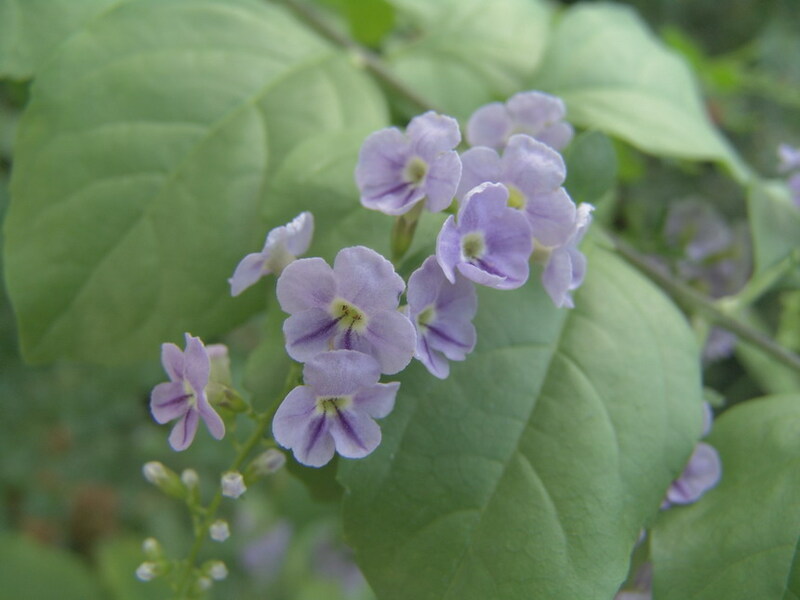 HABIT: Rapid growing dense shrub with small glossy leaves and a profusion of pendulous racemes of small flowers with colors varying from light blue to purple. Bloom time is late summer to early fall. Some selections fruit heavily, and the plant becomes covered with small, golden ball-like drupes. Must be treated as an annual-root hardy perennial in most parts of Texas, but will be perennial in south Texas. Foliage is variegated. 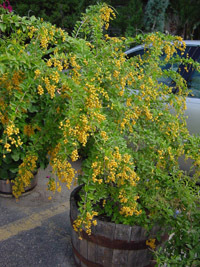 The Cultivar ‘Gold Edge’ has intense yellow variegation and flowers. 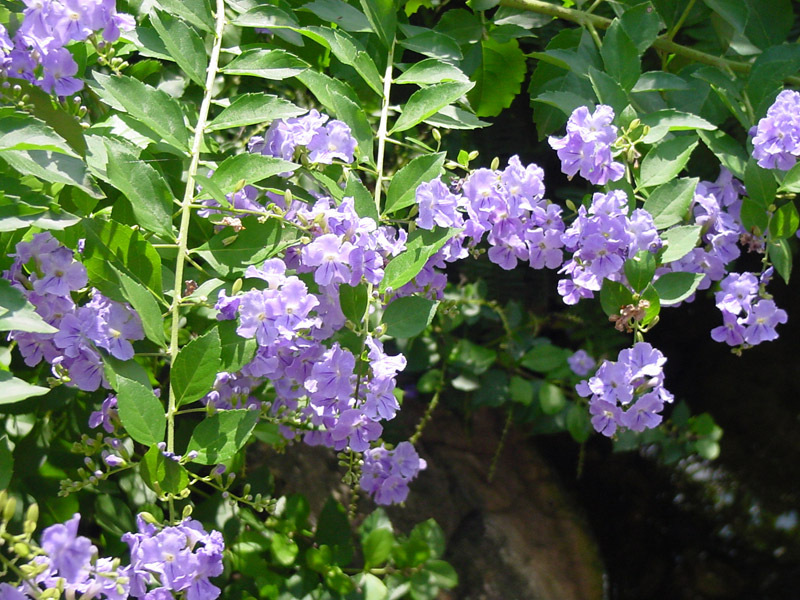 CULTURE: Root hardy perennial in south Texas, but annual or tender perennial in most of the state. Likes slightly acid soil best. Normal water requirements. USES: Summer color, interesting specimen, attracts bees, butterflies and birds. NOTES: Parts of the plant are poisonous if ingested, plant has spines or sharp edges; use caution when handling.